We are an organization of passionate TB professionals, including doctors, researchers, training experts, nurses and epidemiologists. We aim to stop the spread of the worldwide epidemic of TB and to prevent the further spread of drug-resistant TB. We operate from a central office in The Hague in the Netherlands, a regional office in Central Asia and country offices worldwide. KNCV raises funds from private, institutional, corporate, and government donors. KNCV’s main funding source is the USAID funded Challenge TB project, which is also implemented in 22 countries. 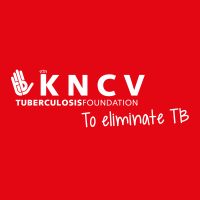 In each KNCV-led country, KNCV is looking for one project manager who will lead and provide oversight for the implementation of the IMPAACT4TB project activities in that setting, in close coordination with the KNCV Country Director and the KNCV central office project coordinator. The project manager will report directly to the KNCV Country Director, and will maintain close communication and coordination to the central office KNCV project coordinator. You can apply for this position by submitting your CV, including a motivation letter and 3 professional references, via the Apply Now button below, before August 17th, 2018. If you have any questions, feel free to contact our team in Tanzania +255 22 2664859 or mail to recruittanzania@kncvtbc.org.